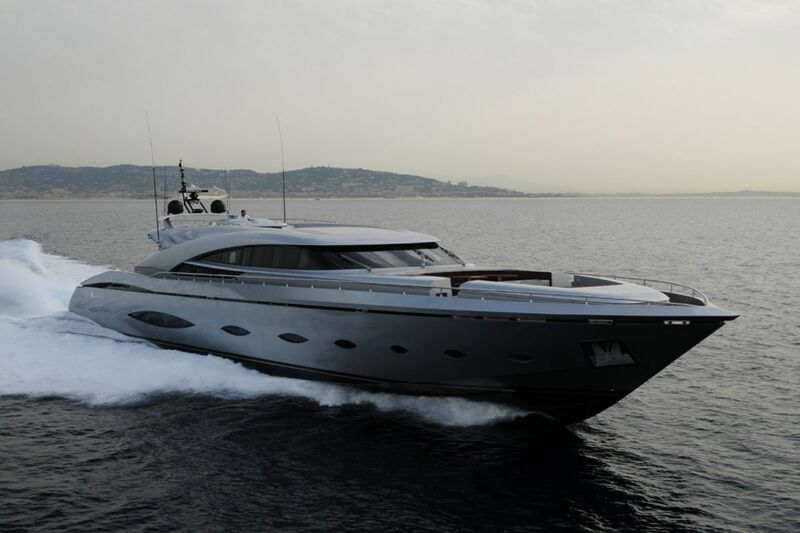 This AB140 open-style yacht is perfect for guests looking for a combination of speed and luxury. 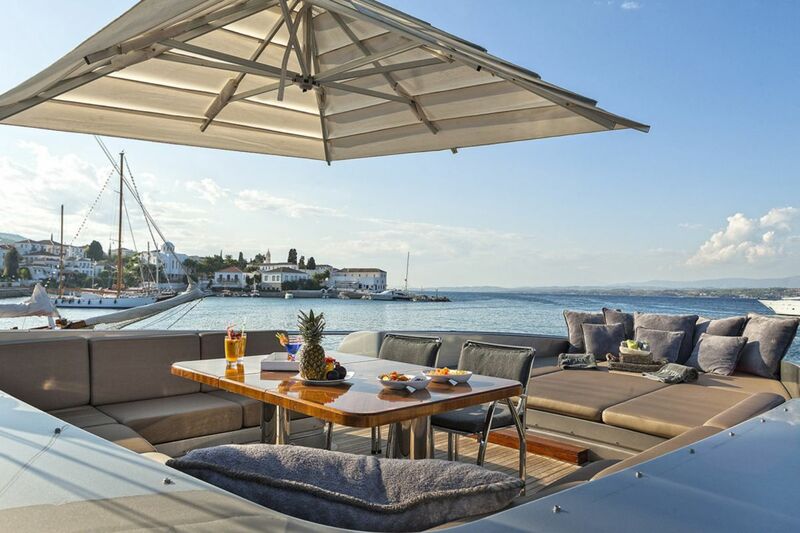 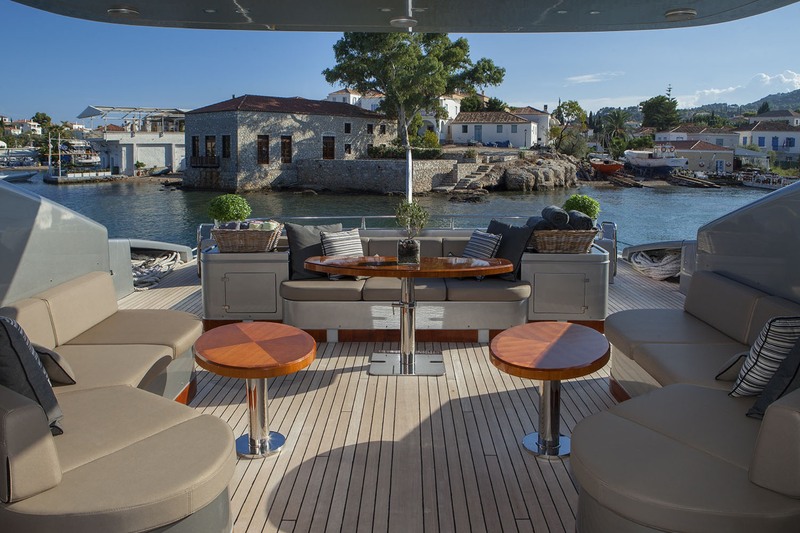 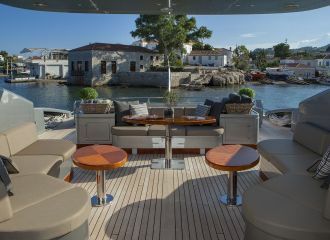 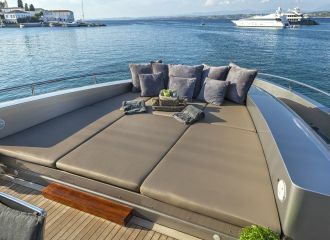 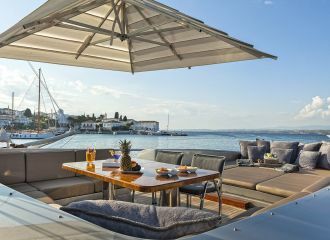 The opend aft deck is very enjoyable with large sunpads and an alfresco dining table. 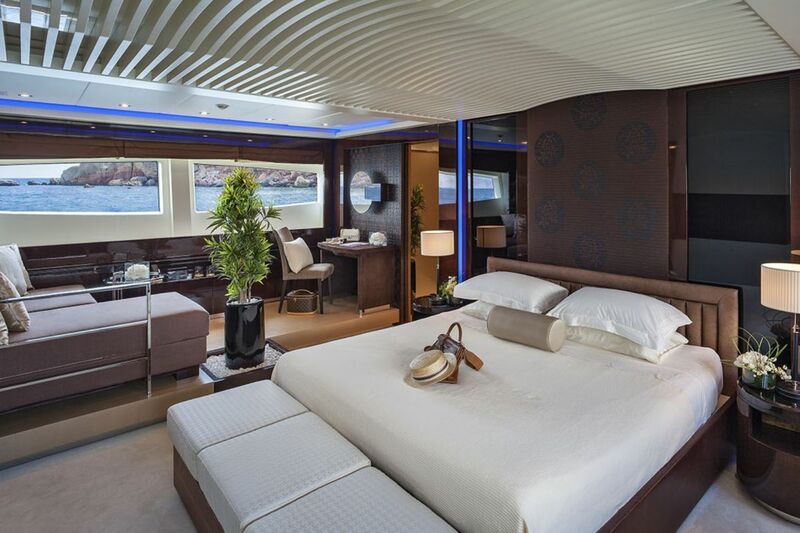 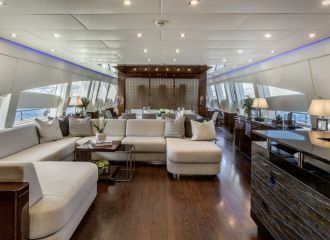 Following her refit, her modern interior now boasts a main saloon and a further dining area. 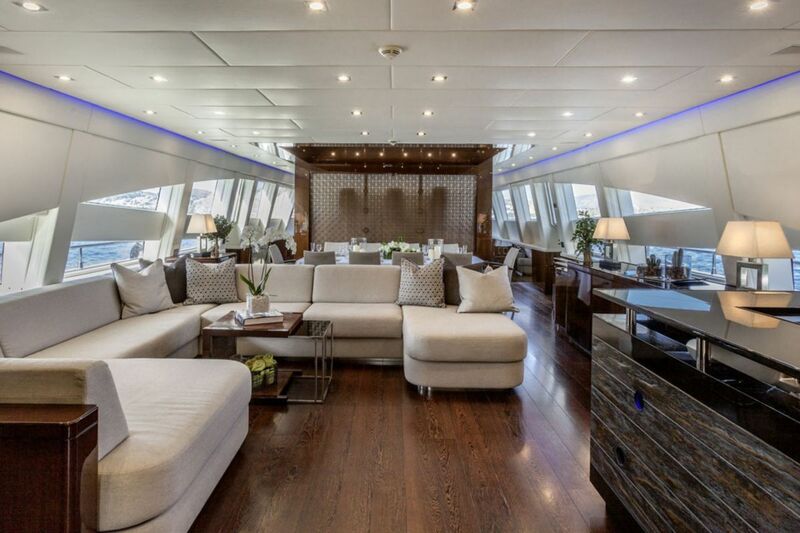 The large windows and the retractable roof allow for plenty of natural light. 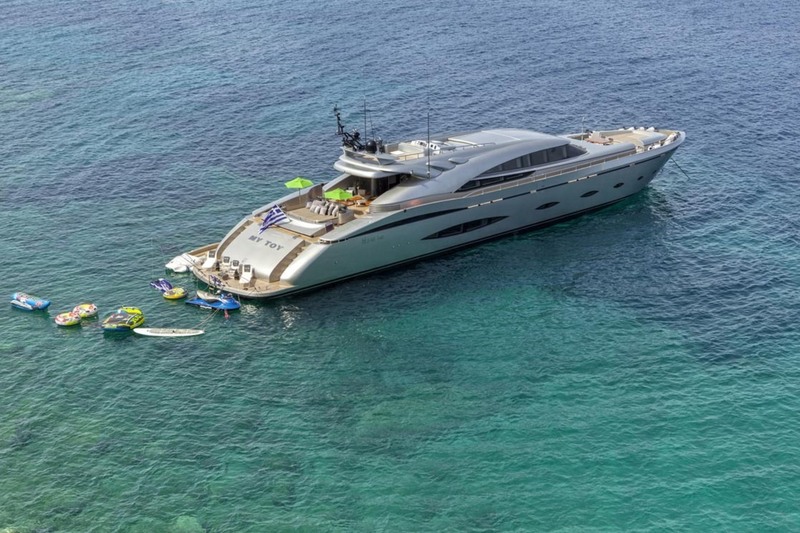 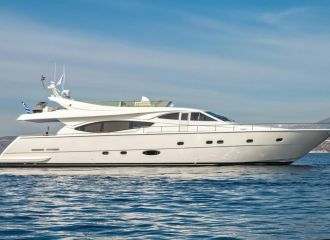 This AB140 motor yacht offers accommodation for up to 10 guests in 5 cabins: 3 double and 2 twin. 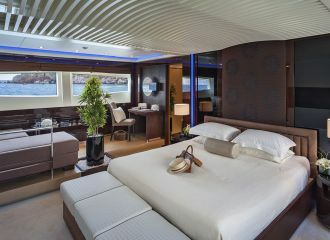 All cabins have en-suite faciltiies. 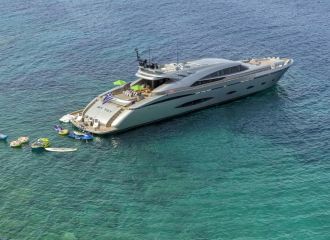 Currently available for a yacht rental in the Cyclades, Greece. 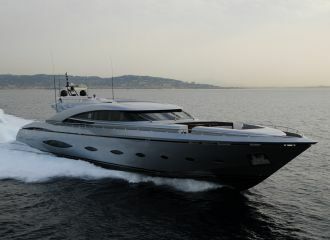 total 16500	€ Excluding VAT and APA ?